I love this product! It looks very professional, shows up well, looks nice on the envelope. I have used them for both our personal and business use. I always purchase them for our children when they have a new home address. Excellent product....outrageous shipping fees to receive it in Canada. This will be my first and last purchase. Thank you, though. Loved the product. Professional quality[...]. Doesn't get any better than that. Second time I have purchased! 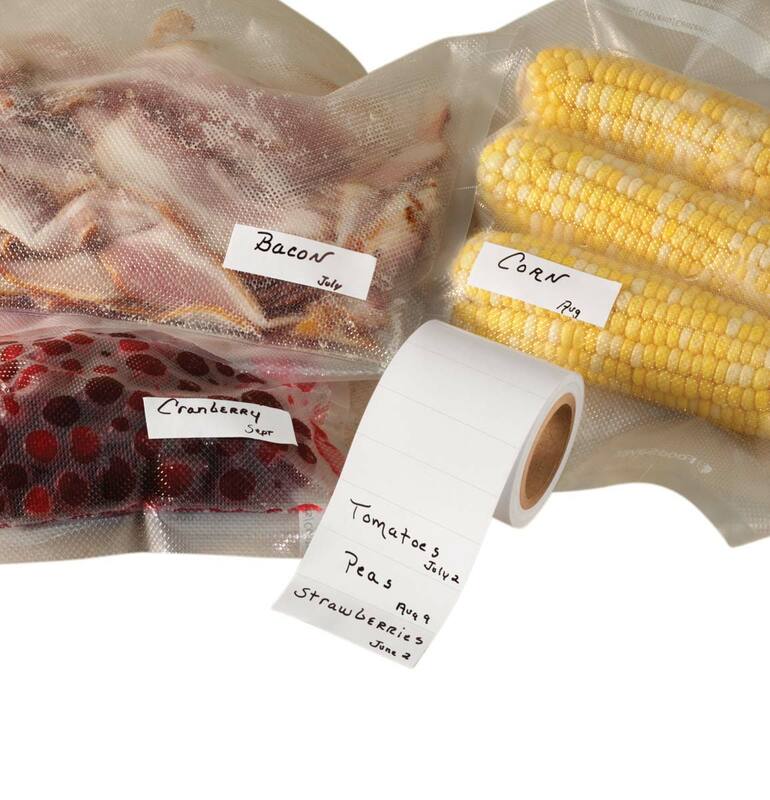 These labels work great, save a lot of time! I'd like to not have to write my return address over and over on envelopes. These labels satisfy that issue. I sell beauty products. 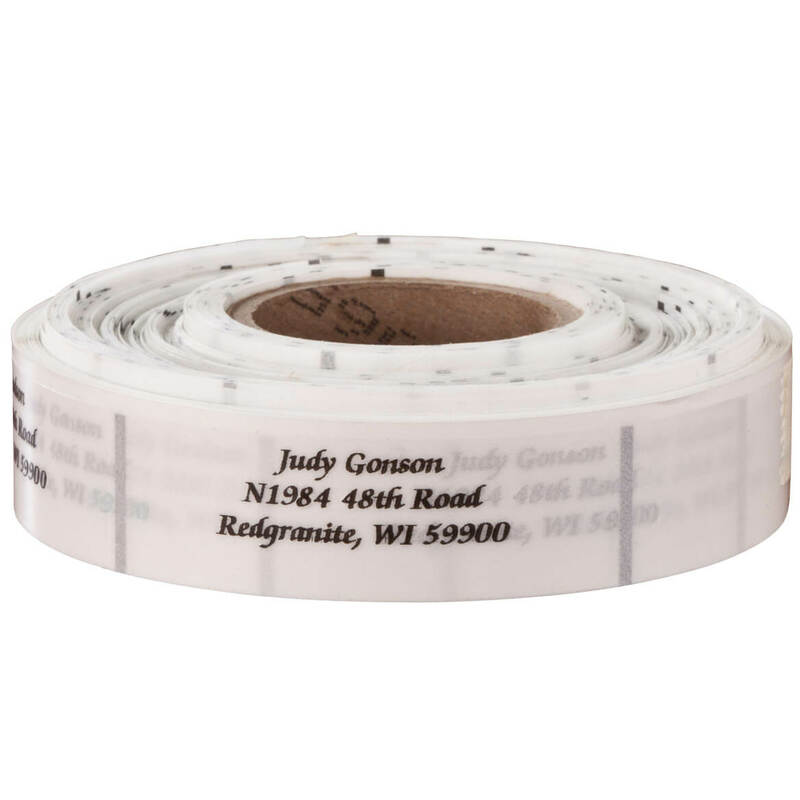 Great for labeling products for reorders. I love the clear address labels. It looks so professional as well as taking on the background color of the item I am sticking them on. I like to use them to mark my books, on the inside cover so if I lend them out it has who it belongs so. I create stained glass products and place these labels on the back of my products. I use them for my return address on all envelopes. The printing on them is excellent, plus they stick great. This is my second time buying them. Good looking and a great value. I used these for labeling my classroom materials. They worked beautifully![...] Thank you! 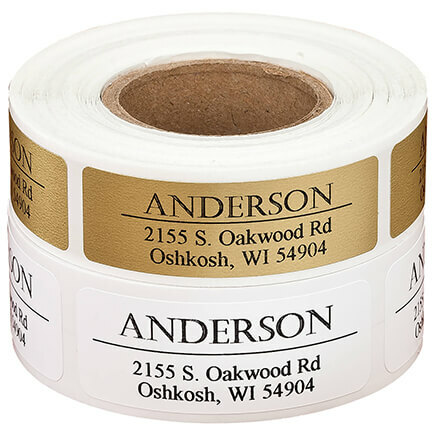 What can you say about address labels? Second order - I like the product. EVERY PIECE OF MAIL SENT OUT HAS A LABEL ON IT. The return address labels are attractive and easily read. Husband wanted his own return labels. Everything ok. They are perfect for my Avon products, fits the items perfectly with the reorder information for my customers. 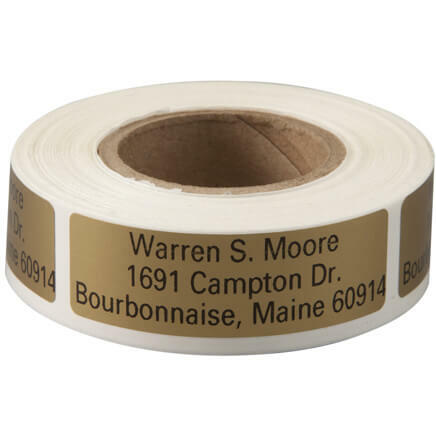 The only reason to still offer this type of label today is to have one that stands out. Ordering them as you wish allows you to put two names on them (such as Mary and John Smith), which I like to do with personal correspondence. The Freebies don't do that for you. I wish they were crisp and glossy, though. These are just fine, but having them be especially nice quality would add more to the reason for ordering custom labels. Here is your ad: Tired of freebie name labels with your name spelled incorrectly? Ours are correct! 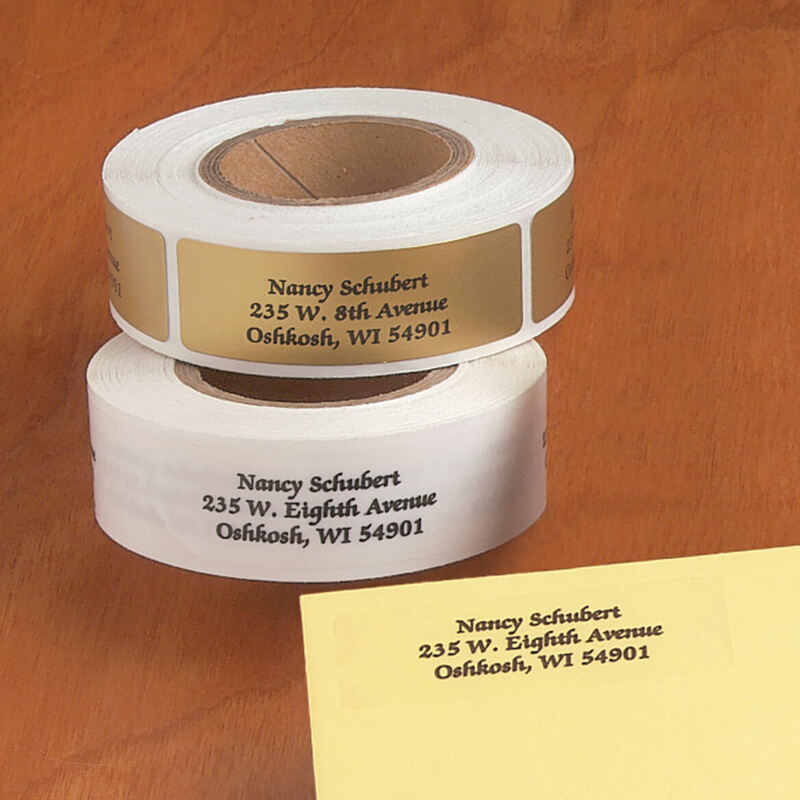 Want to put two names on your label? We can do that for you! 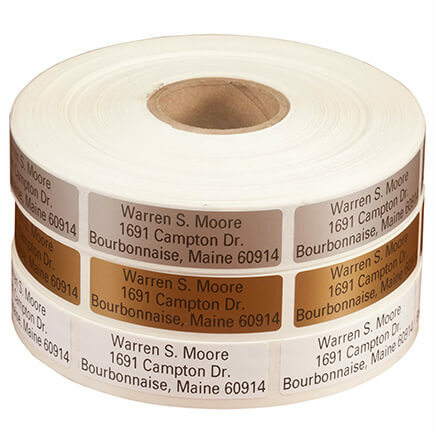 Want really great-looking, crisp labels? Ours are of beautiful quality. Looking at the online pictures I thought these would be bigger - at least make the print size bigger. Compared to the last ones we had, these are too small, I can hardly read them - suggestion - make bigger printed ones for older folks, please. Labels are sized well, however, printing is so small hard to read...not represented this way in ad....most likely will not use except in emergency when no others are available. Very disappointed. The print font is extremely small and is not represented by the sample label that is proofed before ordering. It's not my old eyes either. For those that use Microsoft Word, think font size 7...Unfortunately, I will will need to return these. Product should be made on a thicker adhesive plastic. They peeled off roll too easily and were difficult to handle without tearing them. I guess that's why they were so inexpensive....would have paid more for a better quality label. I am disappointed. the print is very small and it is not centered properly. Classy & Functional !! Always what you need in style & application at Miles Kimball !! I like clear labels plus I have bought many times in the past from Miles Kimball..great company. I use the same ones and needed to make ones for just my name since I am now a widow. We like the gold color as it looks professional on our homemade Valentine's Candy! 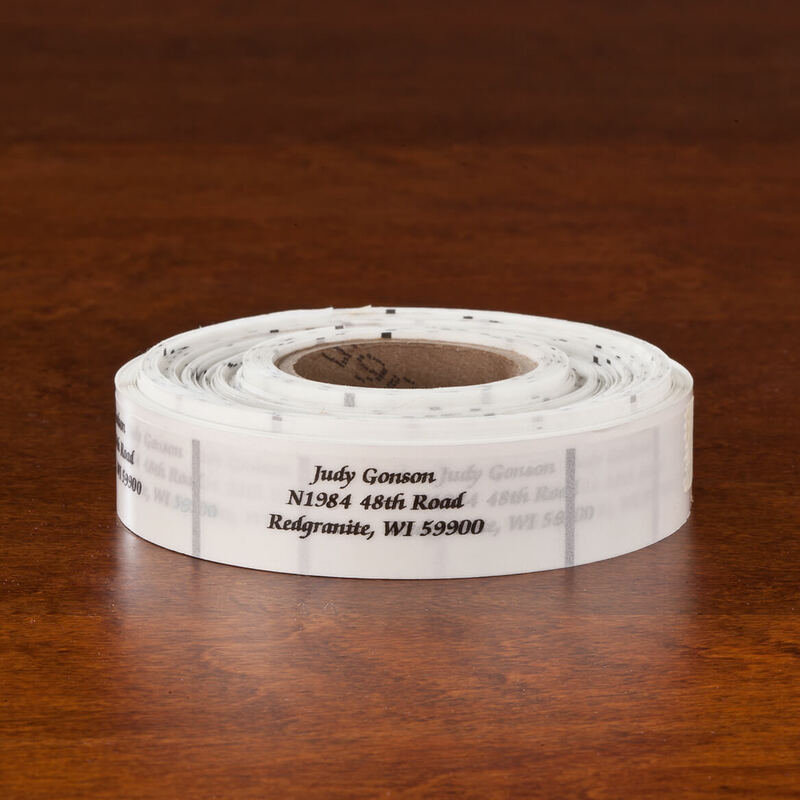 I like the smaller size address labels and was pleased to find them at your company! I send out mailings for a ladies group. This is a re-order.......I have enjoyed these since 2011 and am running low.....how 'bout that!and I like the caligraphy and I especially like the "centered" look. They are pictured as centered ...... so I am hoping that they arrive as centered.......and I like how it appears with no....and I mean NO abreviations. I think I've accomplished all this. Thank you! They coordinate with any color envelope. We've moved and need good quality updated mailing labels. The size is great for my needs. 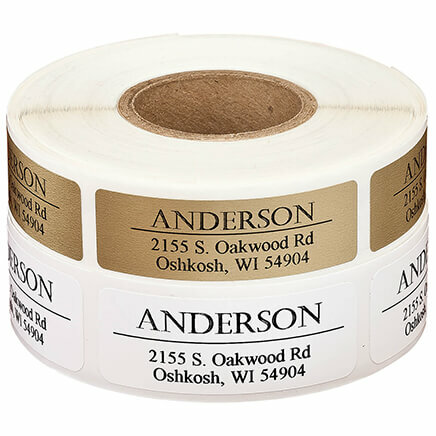 Also reasonably priced labels. Like size amt of labels. More economical. Good labels fit the bill. I like the clear, the script and price was better price than competitor's. I've used them in the past and I like the way they look. Very rich. I use them on all my mail and envelopes look more professional. Have used these for years! Love the beautiful labels. I use them for my church. 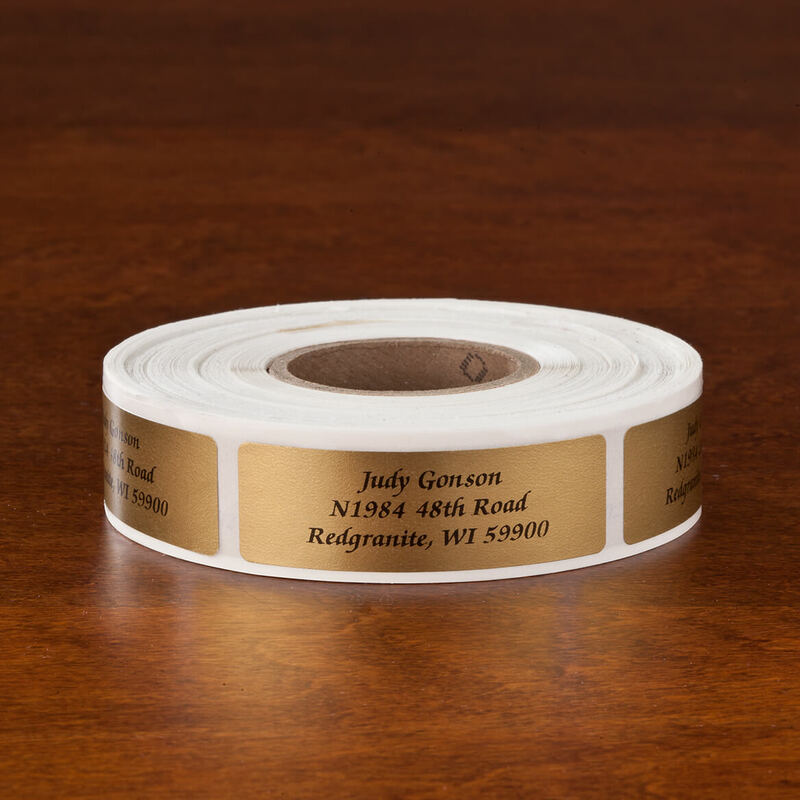 I needed a label for wedding invitations that was elegant, clear, a good price and quick delivery. This fit those requirements. I've used these for a couple years and think they're great! Easy Interface - in the future can I send a design with my logo on it? It was exactly what I wanted at a good price. Price, color and font are what I was looking at. Great selection! I like the traditional writing and the clear label so colored envelopes show through. Looks nice, quick and easy. Had them before and love the looks of them. Good price and 500 on a roll. Clear labels show up well on envelopes. I love the clear labels and am almost out of the ones I have now. I have ordered in the past and like the way they come on a roll. Clear, calligraphy, number of labels and price. I have used this label from Miles Kimball; it is stylish and attractive.